For just a very few days a year, a cherry tree flowers in Halwell churchyard. 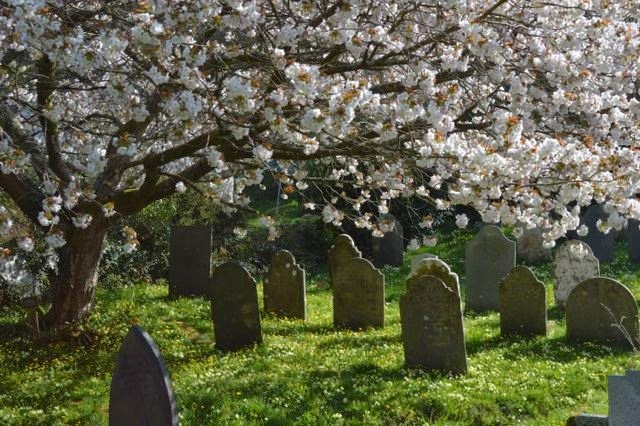 The ground between the graves is a tapestry of primroses, celandine, violets, cowslips, ground ivy and daisies – a sight magical enough – but the huge flowering tree with its chaos of bee-filled, pink and white petals, is something else altogether. Every year I make my visit, sketchbook and camera in hand, and every year I am confounded by the vision before me, unable to work – drawn into the world of the tree. There isn’t a mark I could make that would mean a thing in the face of the painful brevity of such beauty. 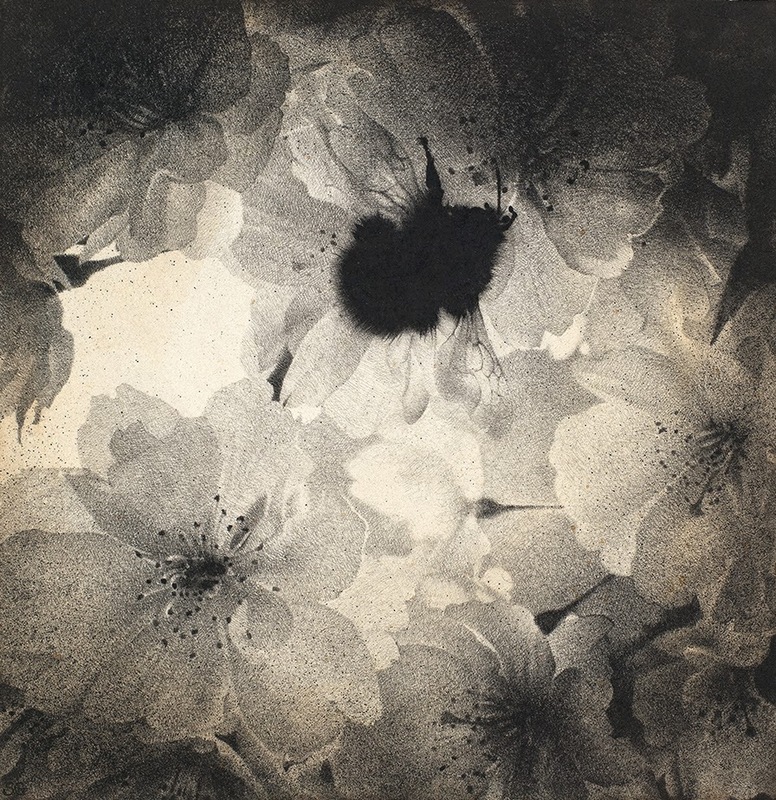 It is impossible to miss the lesson in these dropping twigs and senseless blossoms. Nothing for it, once in its arms – between the leaning, earth-damp graves, ankle-deep in cool grass – but to lie back and wonder. We are sure to get old. We are sure to become ill.
We are sure to die. and we will be separated from all of it. assuredly will be our inheritance.